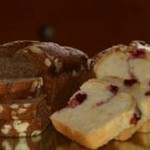 Mrs. AppleTree produces only the finest Scones and Breads from all-natural ingredients. We base our Recipes in old world traditions – just “as grandma used to make”. Mrs. AppleTree’s Breads and Scones will take you back to the warm comfort of Grandma’s kitchen. 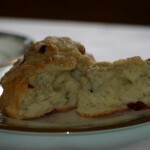 Our Scones – by no means the typical dry cakes, will be moist when they arrive on your doorstep! Keep a look out for our Bread of the Month Club offerings!